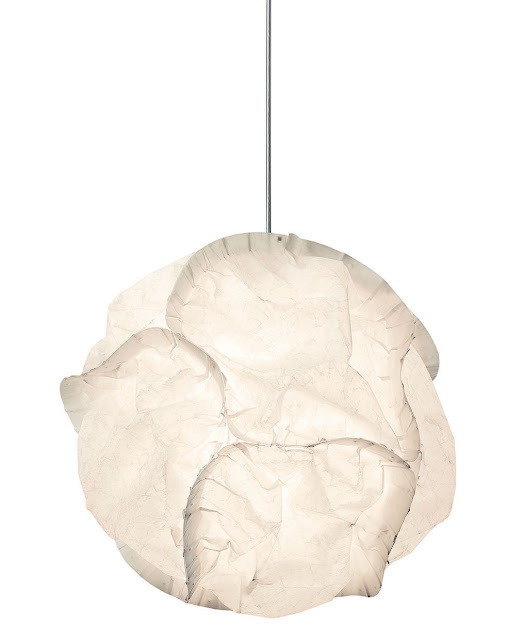 Cloud Lamp Light Fixture. 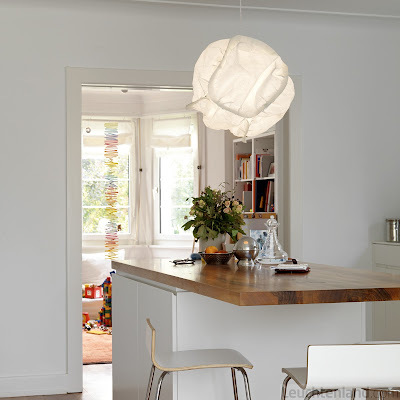 One of the most beautiful contemporary modern design lamps. This wonderful and very stylish cloud-like pendant lamp appears to be floating and emits a sense of utter weightlessness. Each Cloud Lamp has a voluminous yet delicate paper-like shade, in the center of which is the invisible light source. Frank Gehry's Cloud lamp have an irregular sculptural shape, marked by countless folds, crimps, bulges and dents. 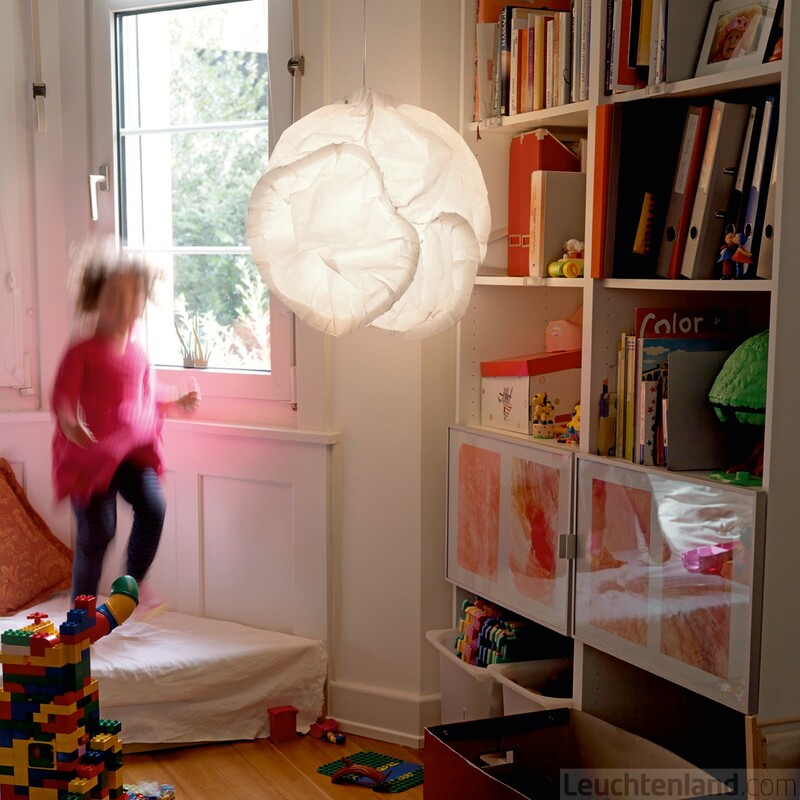 The Cloud Lamps suggest a fleecy CLOUD and then again a large, soft snowball. Looked at more closely, the lampshade of the Cloud lamp consists of several interlinked cup-like elements.